France is at it again. Doing the right thing, that is. Quoted as well is Jean-­Luc Schmutz, head of the dermatology unit at the Regional University Hospital Center in Nancy, France, who’s also among our global team of volunteer medical professionals offering support to PFS patients. 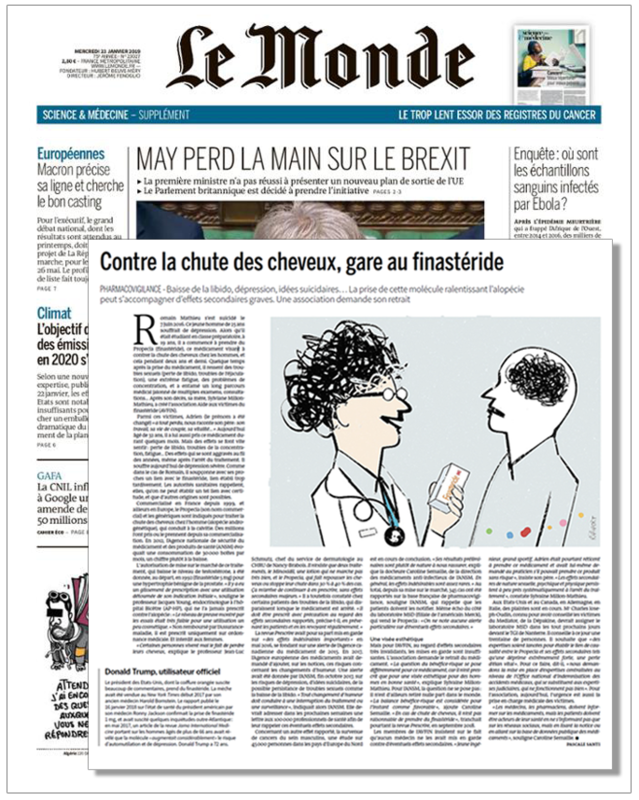 What's more, the Le Monde story reveals that, in the next few weeks, France’s FDA-equivalent agency, ANSM, will send a letter to 100,000 health professionals reminding them of finasteride’s potential to cause depression, suicidal ideation and sexual dysfunction in some men. Capping off the report is a quote from ANSM epidemiologist Caroline Semaille. “Doctors and pharmacists must inform patients about medications, but the patients must take charge of their own health, looking not just at social media, but also reading the product inserts and searching public databases for information,” she says. This of course isn’t the first time Dr. Semaille has issued public-awareness messages about finasteride. In November 2017, she told Le Parisien: “ANSM has also looked closely at reports of adverse reactions to finasteride in France. There have been 40 such reports in nearly 20 years. And those numbers are not taken lightly. We know [these adverse drug reactions] are undervalued, because France does not have much pharmacovigilance reflex. And, worldwide, 508 serious psychiatric cases, including 25 suicides, have been identified. Eight months later, France’s No. 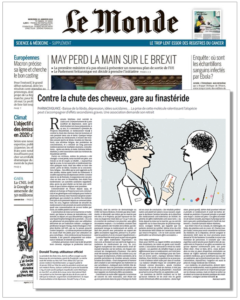 1 news magazine, L’Obs, ran a feature story titled Finasteride, the Controversial Drug that Medical Authorities Continue to Defend (English translation here). “Thirty-thousand men in France—and millions around the world—take [finasteride] every day,” the magazine noted.